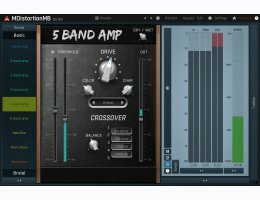 MMultiBandDistortion is a unique distortion plugin combining a generalized amp simulator with a digital distortion processor. It combines the best from the analog and digital worlds and is perfect for guitars, keyboards, drums or even just sound mangling. MMultiBandDistortion implements a generalized amp simulation, rather than providing particular existing amps. 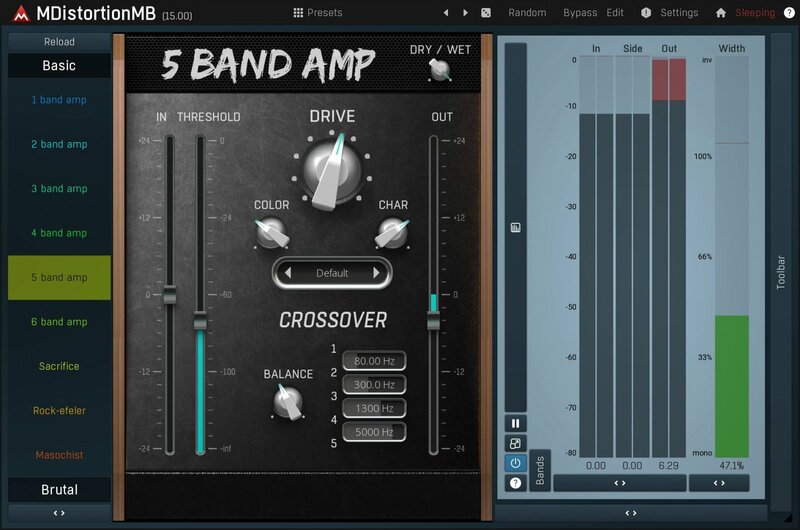 It can simulate a whole set of amps and contains a set of 12 predefined sounds organized by styles, such as metal or rock. You can customize each sound with an exhaustive set of controls and an equalizer. It may not sound like your favorite amp, it might sound better. Only analog distortion sounds good? That's a myth. Purely digital distortion sound different and is provided for those who really need a unique sound. All of these combined with the amp simulation and 4 modulators can provide the power you always dreamed of.